Preparing to do a muscle-up workout is essential. First, make sure that you have a solid muscle-up bar available in order to do the exercise safely. 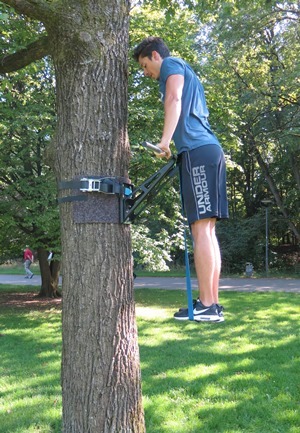 If you prefer to be outdoors, we recommend that you use our Pullup & Dip bar which allows for increased flexibility and manoeuvrability or a bar in a calisthenics parc if you have one close to you. Second, it is key to have sufficient upper-body strength to do muscle-ups. If you are just starting out, include calisthenics exercises such as pull-ups and push-ups in your workouts to improve your arm and back muscles more before trying to do full sets of muscle-ups. Third, make sure that the location where you intend to do your muscle-ups is proper. You will need to be focused and concentrated on the exercise which requires a good location. Check out our pull-up and dip bar! Tip #2: It is all about posture! 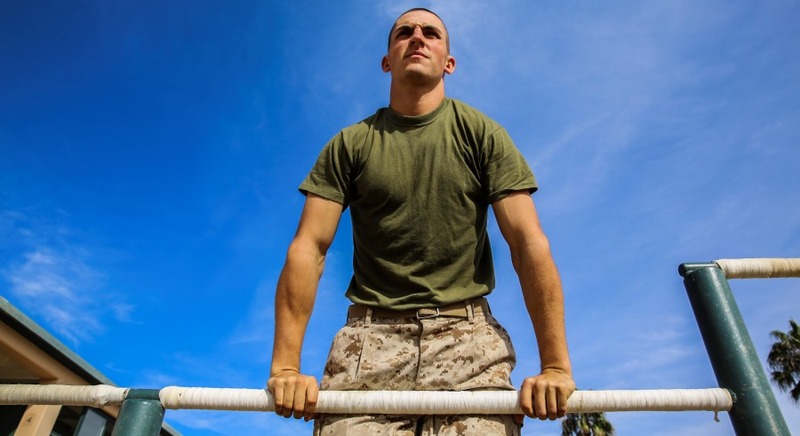 Doing a muscle-up properly requires great proper posture and control. To start, hang from a pull-up bar by placing your thumbs on top of it (A), and pull your body up until your chin reaches the bar. To achieve this last step you will need to swing yourself backwards if you will in order to gain the proper momentum to do the next step. As you are now midway the exercise, make a transition from doing a pull-up to dipping on the bar in order to complete the first rep (B). Controlling your grip, posture and angle(s) are important features for doing a muscle-ups properly. It is a calisthenics exercise that’s about technique as well as strength. If you feel that you are lacking in the latter then we recommend you to revisit tip #1 or read tip #3 below! 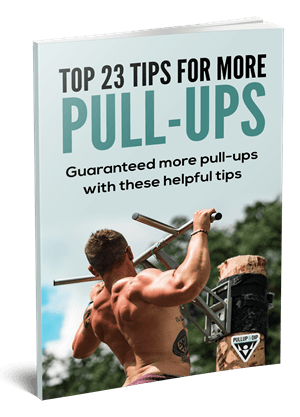 The usage of pull-up bands can be very helpful for getting yourself acquainted with the exercise and to help improve your ability to perform sets over time. This variation, also known as ‘Assisted Muscle-ups’, simply requires that you (a) make a loop on the bar you are using, (b) place one foot into the band and (c) start with the muscle-up workout. Resistance bands can be a great help if you a starting out and experiencing some difficulty in doing muscle-ups. Over time you will be able to improve to the point where you can do muscle-ups without the need of any assistance. Tip #4: The proof is in the technique! When you transition from a pull-up to a dip on the bar, it is key that you are able to lean forward and essentially swing your upper-body into doing a dip. The motions ought to be fluid (i.e. one after another). Don’t try to go wild with the swinging as that may do more harm than good. Instead, understand your body weight in order to be able to make the various transitions from the base position, pulling up to dipping on the bar. You can choose to start slowly with each transition in order to gauge your own capabilities and then increase the fluidity of your movements to maximum benefit. Training with a partner can be of great help when doing muscle-ups. Your partner is able to see exactly what you are doing, and where you are slacking in order to give you indications on how to improve your technique. Ideally you’d be training with a coach or someone more experienced but it can also be fun to go at it with someone at your current stage of training. 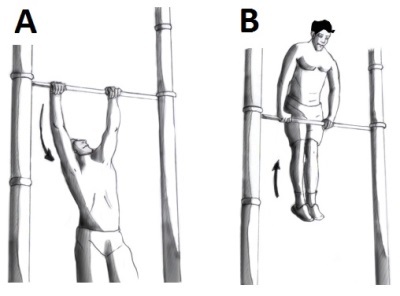 Simply make sure that you understand the basics of doing a muscle-up and that you are prepared enough (tips 1 & 4). It can also be fun to discover the challenge of doing muscle-ups and to learn & improve together. Two heads tend to be better than one and training together certainly has it perks. Summing up, doing muscle-ups can be a very beneficial calisthenics exercise but it is imperative to know how to perform one correctly. Also, don’t try to force yourself into doing sets of muscle-ups. Preparation is key, and I some cases it is best to improve yourself first using alternative exercises in order to come back to the muscle-up workouts. 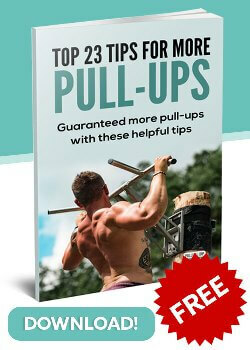 Are you looking for a suitable pull-up bar to perform muscle-ups? 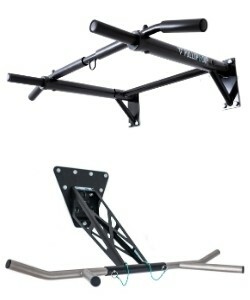 We at Pullup & Dip offer you various high quality and unique pull-up bars. Go check them out now! Thank you very much for the manual. Muscle ups are just super difficult and I am grateful for any advice. Good tips for beginners, I think it helps a lot to start them with a band (so that you can practice the transition) and high pull-ups. Personally, it helped me a lot when I imagined I pull myself back up rather than just up, because you have to get away from the bar to get into the transition.